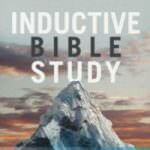 Interview on The indoubt Show: Is the Bible Reliable? 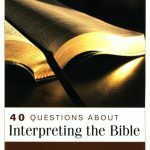 Many questions arise when one considers the Bible. For example, “Why are there contradictions?” “If this is really the Word of God, why isn’t it clearer?” and “Why are we putting so much trust in these books when they’re not even the originals, but copies of copies of copies?” These are valid questions that many people ask. They’re also questions that many get hung up on. This is the second part of an interview I did on The indoubt Show, a radio show hosted by Isaac Dagneau. You can also listen to the first part here. We’re especially grateful for our friends at indoubt who provided the transcript to our interviews, which you can read below. You can also follow their podcast here. Isaac: : With me today again is Andreas Köstenberger. 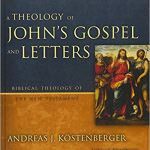 Andreas is senior research professor of New Testament and biblical theology at Southeastern Baptist Theological Seminary. 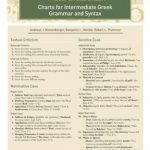 He’s also written many books, like we said last week, Greek Lexicons, commentaries, different things like that, very smart guy. And it’s great to have you again with us today, Andreas. Andreas: Thank you very much, Isaac. Wonderful to be with you. Isaac: If you didn’t catch last week’s show, to listeners, I encourage you to do that. We sort of introduced the structure of our two conversations, but I’ll briefly say that again. But before we jump back in, Andreas, could you just give us a quick, short summary of who you are? 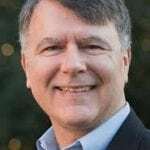 I know listeners who listened last week have got a fuller picture, but for those just listening maybe in the radio right now, who is Andreas Köstenberger? Andreas: Absolutely. Well, I’ve always been inquisitive. As I college student, I loved to ask hard questions. And so first of all, as a Christian, I’m a sinner saved by grace, and I’m just deeply grateful for what Christ has done for me on the cross. I also am a scholar, as you mentioned, I love to write, I love to research. 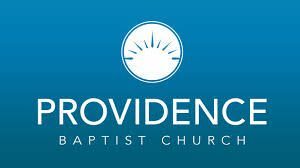 And God has just given me a real passion for the word being preached with authority and with accuracy, and so I teach at a seminary where I have the privilege of equipping others to serve Christ in a variety of ways, whether in a teaching profession or in the preaching ministry. I also am a husband and a father. 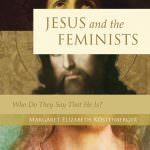 My wife is Canadian, she is also a professor and an author, has written a book, Jesus and the Feminists. 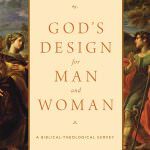 We’ve co-written a book, God’s Design for Man and Woman. 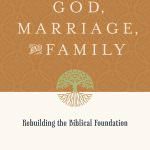 And we have four children, ages mid-twenties to the teens, who are at various stages of their college or high school career. Isaac: That’s awesome. Thank you so much. And again, if you’re listening and you want to hear maybe about his salvation, his testimony, you can go back last week and listen to that as well. 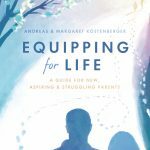 So anyways, Andreas has written a book with a couple co-authors, called Truth Matters: Confident Faith in a Confusing World. 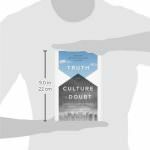 It’s sort of a shorter overview summary, or a simpler kind of summary of another book that they’ve written together, called Truth in a Culture of Doubt. 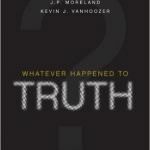 And this book, Truth Matters, is divided into these six sections that help debunk or explain some commonly held notions of an inability to trust in the Bible or the historical Jesus and things like that, that a scholar named Bart Ehrman has made popular, and many people believe these general skeptical. So what we’ve been doing is going through these. 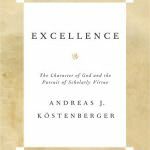 Last week we sort of looked at, very briefly, the problem of evil and God’s existence. 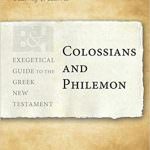 We also looked at the assortment of New Testament books and how they came together as well. And this week, we’re going to look at four more, just again, very brief kind of a scrape of some of the evidence, some of the beliefs, so that hopefully it will make us think about it more and dive more into it. But anyways, let’s continue on to this. Let’s focus a little bit onto contradictions in the Bible. So I’m going to get a quote from Bart Ehrman that starts chapter four of his book. It says this, and this is what Bart says, “At about the time I started to doubt that God had inspired the words of the Bible, I began to be influenced by Bible courses taught from a historical critical perspective. I started seeing discrepancies in the texts. 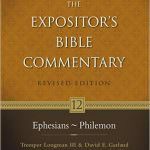 I saw that some of the books of the Bible were at odds with one another. 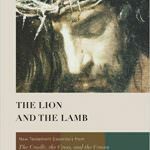 I became convinced by the arguments that some of the books were not written by the authors from whom they were named, and I began to see that many of the traditional Christian doctrines that I long held to be beyond question, had moved away from the original teachings of Jesus and his apostles.” Reading something like that, or hearing that is very convincing to someone that maybe hasn’t dug into it. So help us through this a little bit, Andreas. Andreas: Absolutely. I once heard someone say, “So what if the Bible has errors in it? 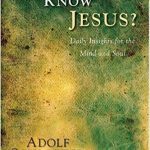 I can still believe in Jesus.” And my response to the statement is, first of all, that Jesus didn’t believe the Bible has errors in it. 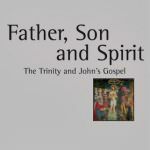 In the Gospel of John, for example, he says Scripture cannot be broken. So when you look at Jesus in the gospels, our listeners can check this out, you look at the gospels, Jesus refers to Adam and Eve as historical characters, he refers to Jonah, the people of Nineveh, he refers to Elisha, and lots of other Old Testament characters. So he obviously read the Bible as historically accurate. And I just want to point out, those people who say the Bible is full of contradictions disagree with Jesus’ own assessment of the veracity of the Bible. Secondly, I’d say that ironically, skeptics like Bart Ehrman are usually too rigid. I say ironically because people who say the Bible is full of contradictions often claim to be more critical and scholarly, like we talked about last week, than those who believe the Bible is true. But often, when you take a close look, those so-called contradictions involve what I’d rather call diversity, that is different but equally legitimate ways of looking at things. So people say you may look at a glass half-full or half-empty. Both would be equally truthful. Or think about the story of how I met my wife or how you met your wife, I could tell you how, but if you ask her, she’d probably tell the story rather differently. Does that mean that one of us is lying? No. So that’s what I call legitimate diversity, as opposed to actual contradictions. And I think the difficulty comes in when people like, or skeptics like, Bart Ehrman blur the lines and collapse the two. So then, every time you have a diverse way of presenting things from one’s own vantage point, as the four gospel writers regularly do, people jump to the conclusion that you actually don’t just have diversity, you have actual contradictions. And so I would say the Bible has plenty of legitimate diversity, but it doesn’t actually contradict itself. Isaac: Yeah, and that’s really good to make a difference there with those words. Because I know that just the word ‘contradiction’ has such a negative tone, so when different scholars or professors in maybe a college or university will say, “The Bible’s full of contradictions,” to someone that’s kind of shaky on their faith, that can be a very heavy weight. And also, you just used the word ‘vantage point’, and I know there was a movie that came out, I don’t know, probably about five to ten years ago now, I’m not sure when, but it was called Vantage Point, I think it was called. It was fascinating, because it was some attack, I think it was on the White House or something, and the movie was done in these four different views, and it was really fascinating to see which views picked up different pieces of the puzzle. And also, this is really interesting, it’s a quote from your book, and it’s talking about the Bible, and it says this, “It’s God’s work in real life, in the real world, with real people living in a real time, not a carefully managed sheet of talking points designed to keep any of its writers from going off message.” And then you kind of go on to this idea of it being this harmony of different things coming together. So I think it’s really beautiful how you’ve talked about that. 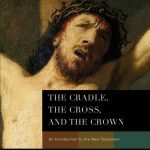 Andreas: Yeah, I mean you see that … you read the quote at the beginning of this segment, from Bart Ehrman, where he talks about the historical critical scholarship, and they would label the relationship between the four gospels in our Bibles, or at least the first three, the synoptic problem. And so you already see that it’s slanted toward skepticism. You know, I sometimes just playfully, in my classes, talk about it as a synoptic opportunity, to give it a bit more of a positive ring, because I feel like in many ways, the scholarship is already biasing, to say that diversity is necessarily something bad. And yet, as you know, when you are in court, and you have multiple witnesses to a car accident, if anything, if the accounts are too similar, you wonder if there was any collusion taking place. 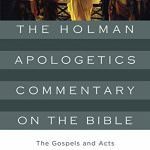 Sometimes with skeptics like Bart Ehrman, you can’t win, because if the gospels are too different, he says look, they’re contradictory. If they’re too similar, he would say look, I mean you can’t take it seriously, they were obviously comparing notes and they’re colluding and giving you some sort of a sanitized account, just making sure that they’re lining up. So again, in a court setting, you would say that it’s actually a strength if witnesses present a given account, like of a car accident each in their own way, because then you know that they didn’t necessarily conspire to fool the jury. Isaac: Yeah, you’d expect there to be slight differences, and that boosts its reliability as well. Before we jump on to the next point, because we only have so much time, I wanted to just make this point, I wanted you to elaborate on it slightly, this idea that ancient literature … and I’m quoting from your book … ancient literature from the period of the gospels was consistently less worried about putting things in chronological order than arranging them by theme and topic. And being in sort of the post-modern scientific age that we’re in, chronology is very important to us. So I think when we read of some of these differences in the gospels about when things happened, it can be very damaging to someone’s faith or thinking about it. So could you kind of elaborate on that a little bit? Andreas: Absolutely. 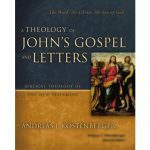 I think a lot of apparent contradictions are explained when we understand the genre of gospels. They were written in the first century, of course, many centuries ago. 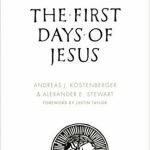 So we need to understand ‘how did people in the first century write an account of a well-known person like Jesus’? And on the one hand, they would rely on eyewitness testimonies. 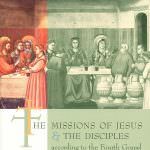 As you know, Luke introduces his gospel by saying that, candidly, he was not an eyewitness, but he based his account on the report of those who were. 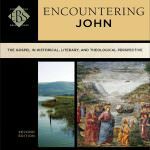 And at the same time, those writing those gospels would feel free to arrange matters topically in some cases, just for the sake of helping the readers get an accurate understanding of the significance of a given event. In John’s case, he’s selective, he selects just a few events and elaborates those in great detail. He gathers Jesus’ miracles, calls them signs. 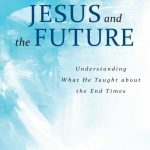 And again, something that Bart Ehrman would label as a contradiction, while I would argue no, this is just what theologians do all the time to put their imprint on the material that they’re narrating, in order to help the readers understand more fully the theological significance, in this case of Jesus’ miracles. Isaac: Yeah, and that’s so important to recognize. 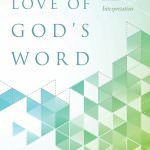 Because I think for a lot of us, a lot of young adults too, they look at the Bible without all this knowledge of the way things were written, and the different genres and things like that. So it’s very helpful to hear this, Andreas. Before we jump on to the next section, I’ll just finish with this, and I love this question that you ask in the book. It’s just simple, “Why can’t we hear the Bible sing with just a little harmony?” And I think that’s just a good question to ask, sort of a rhetorical question. So alright, let’s move onto the next, this idea of the copies of copies of copies of manuscripts. Maybe a young adult’s watching the History Channel or the Discovery Channel, and they hear some scholar being interviewed just say this in passing about the copies of copies. How can we trust it? This is what Bart Ehrman says at the beginning of this chapter, in chapter five of your book. 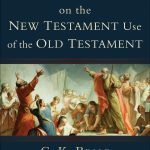 “One of the things that people misunderstand, of course, especially my 19-year-old students from North Carolina, is that when we’re reading the Bible, we’re not actually reading the words of Matthew, Mark, Luke, John or Paul, we’re reading translations of the originals of Matthew, Mark, Luke, John or Paul, because we don’t have the originals of any of the books of the New Testament. What we have are copies made centuries later, in most instances, many centuries later.” So I mean, when you read that, or if you heard that, it sounds very convincing to be like, ‘well I guess I can’t trust this’. So help us with this, Andreas. Andreas: Absolutely. And like you said, there’s a certain rhetorical surface plausibility until you look a little deeper. For example, just picking up on the quote that you just mentioned, I mean, who says that if you have something in translation, that it’s necessarily inaccurate? It doesn’t logically follow at all. 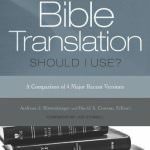 If it’s an accurate translation, then you don’t need necessarily the words in the original language. 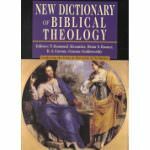 By that token, we would all have to read the Old Testament in Hebrew, and the New Testament in Greek. Few of us are able to do that, right? We all are very grateful for our accurate English translations. 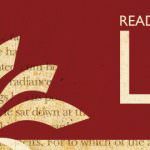 So again, I think unless you have a highly-exaggerated standard for accuracy, and I think that’s exactly what we find, and I think that’s more a result of skepticism than having reasonable concerns with the Bible. But that said, it’s true, we don’t have the original autographs, that is, we don’t have the actual, say, letter Paul wrote to the Romans, for example. I think that’s probably a good thing, because if we did, some people would probably worship the actual document. So I think what Ehrman overlooks here is what we have in our Bibles, we don’t need the physical papyrus or codex manuscript, all we need is a reliable text. And the text that we have is reliable, because it has been faithfully passed on and copied from the originals. Of course, some might say that we have a variant reading, so-called variants, so we can’t know what the original readings were. 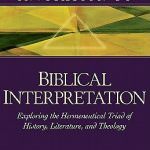 But I think certainly early in his career, Bart Ehrman seemed to be very confident that he knew what the original was, so much so that he speculated as to the motives that led some scribes to change the original reading to a variant reading. So I think that’s very interesting. I think he just fell into skepticism a bit later in his career, and most of those variants, of course, are completely inconsequential. We’re talking about spelling errors, some might be skipped words if scribes had manuscripts that they copied in front of them, or some other inadvertent copying mistakes that can easily be spotted. So I think saying that we don’t know what was in the original manuscripts just because we have certain variants is again, vastly exaggerating the problem. 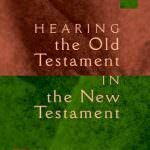 In fact, we have a vast number of manuscripts, we have almost 6,000 manuscripts of the entire New Testament, or at least parts of the New Testament, just to focus on the New Testament for a moment. So I think again, the reason why we have so many variants is because we have so many manuscripts to begin with. And again, it’s one of those situations, you can’t seem to win. If we only had few manuscripts, skeptics like Ehrman would say, ‘well look, how come you have so few manuscripts’, right? But because we have so many, and so there’s more variants, somehow that’s turned into a liability as well. The fact is, we can trust our Bibles, we can trust the translations, we can trust the process that was used in copying. Of course, you would imagine scribes who believed they were copying sacred Scripture to make every effort to be accurate in what they copied. And of course, copying is a human process, so error occasionally crept in. But of course, in most cases, we are easily able to reconstruct the original reading behind those inadvertent mistakes that some scribes occasionally made. Isaac: Of course. And that’s super helpful to know. 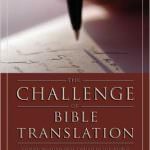 And just to say this too, people like, maybe Bart Ehrman or others as well, will really put a lot of their … kind of throw their weight in saying things like 200,000 to 400,000 of these variants are among the biblical manuscripts. But then, like you just said though, with almost 6,000 manuscripts, of course you’re going to have this many variants. And when you understand that these variants, for the most part, for the majority, are simple things like maybe a double word or missing a letter or what have you, which totally makes sense if you’re literally copying, word-by-word, thousands of words. Right? Isaac: The next one is kind of about what Christianity was about, what it was made of, what is the orthodox Christian truths, the beliefs. And this is what Bart Ehrman says at the beginning of chapter six. “There were lots of early Christian groups. They all claimed to be right. They all had books to back up their claims, books allegedly written by the apostles, and therefore representing the views of Jesus and his first disciples. The group that won out did not represent the teachings of Jesus or his apostles. 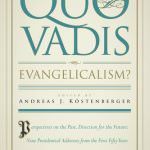 The victorious group called itself orthodox, but it was not the original form of Christianity, and it won its victory only after many hard-fought battles.”Reading something like that, Andreas, it can … as someone who is kind of shaky on their faith, that could definitely steer them away. Andreas: Absolutely. And it’s again, this postmodern, almost cynical view of history, that as Ehrman and others would say, that history was written by the winners. You see feminists make that same argument, that somehow the Bible is just a result of a male conspiracy to suppress and silence women, often arguments from silence themselves. And so I’ve actually written an entire other book, The Heresy of Orthodoxy, that deals specifically with this argument. 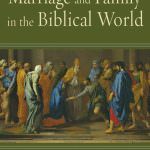 It has the subtitle, How Contemporary Culture’s Fascination with Diversity Has Reshaped our Understanding of Early Christianity. So some listeners who are interested specifically in this question of ‘did the early Christians somehow suppress the truth, and is truth merely a function of sociology’, might want to pick that book up. I co-wrote that with my good friend, Mike Kruger. Isaac: Cool. That’s great. So what would you say to … and I’ll link that also to the episode page, but what would you say to those who’ve been taught by the Discovery Channel or their professor that what we believe to be orthodox Christianity wasn’t really the truth of what the disciples taught, let’s say, until it was made most popular by Constantine and things like that? How would you convince someone that these truths that we call orthodox today really were the teachings of Jesus and so on? 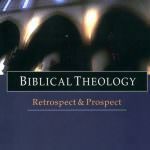 Andreas: Well one thing I would point out is that, again, skeptics like Ehrman base a lot of their arguments on a book written by a German scholar, Walter Bauer, it’s called the Bauer Thesis, Heresy and Orthodoxy in Earliest Christianity, where he makes the point that early Christians in the first century were diverse, there was no such a thing as Christianity the way you and I look at it today as historic traditional Christianity, there were only Christianities in the plural. 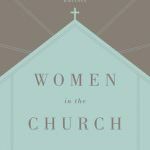 And Ehrman has called Bauer’s book the most important book on early Christianity in the 20th century. 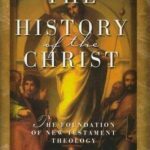 So what I would point out though in response is that despite the title of his book, Bauer doesn’t even deal with the first century, and he is biased against the New Testament writings as historical evidence themselves. 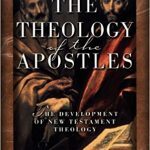 Because if you look at the New Testament, you see that the Christians from the very beginning were extremely concerned with the gospel and with orthodoxy. You look at Acts chapter 2, verse 42, and it says there that the earliest Christians, immediately after the birth of the church at the Pentecost, right after the resurrection and the ascension of Christ, devoted themselves to the apostles’ teachings. Or think of Galatians chapter 1, verse 6, that’s the first letter that Paul wrote among the 13 of his letters in the New Testament canon. And Paul says there, ‘if anyone preaches a different gospel than the one I’m preaching to you, even if it’s myself or an angel, let him be cursed’. 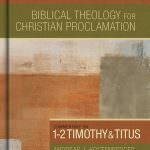 So people were extremely concerned to safeguard what Paul later would call the good deposit, when he wrote Timothy. 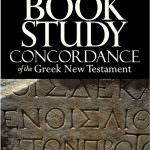 So to say that somehow the apostolic gospel or the core of Christianity was just a second, third or fourth century invention is just manifestly untrue if the New Testament books have any value as historical documents. Isaac: Right. And then I guess we could understand that things like Gnosticism or something like that, sure they came to be popular, and then they sort of fizzled out, because obviously they were not true. Andreas: Exactly. So Gnosticism was probably the first serious Christian heresy, but it is parasitic on apostolic first century Christianity. It arose, I think virtually all scholars would agree now, only in the second century, and was still fairly localized. 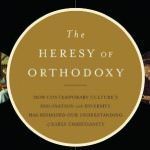 I think in the Heresy of Orthodoxy, chapter 3, we point out that only what you and I today would look at as historic Christianity was widespread all across the first century world, and then heresies would crop up just more locally. But none of those had anywhere near the geographic distribution, and were anywhere near as widespread as orthodox Christianity. Isaac: Yeah. That’s fascinating. 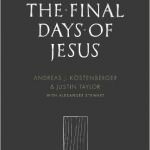 Andreas, we’re going to have to wrap this up sooner now, and we’ve missed one of the most important, and that is the idea of Christ being risen from the dead, or not, as some may skeptically assert. So maybe we’ll have to do a whole other conversation just on that. But anyways, to our listeners and myself, we do want to thank you, Andreas, for taking time out of your day, out of these two weeks really, to help explain to us some of these skeptical assertions that again, you walk into a college or university class, and your professor or a book you might read as a textbook, these statements are sort of flung at you with a sort of rhetorical way to make you really question your faith and think that it’s really based on illogical or not based on good evidence, but the fact of the matter is if you just dig a little deeper under, I should say, you will find that there is much evidence and much scholarly work on these things. 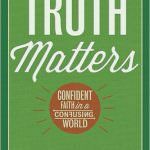 So if that interests you more, and if what we’ve talked about these last two weeks, I’d really encourage you to pick up Truth Matters: Confident Faith in a Confusing World. We’ll have this book linked on our episode page as well. 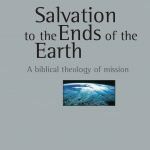 But anyways, also biblicalfoundations.org is a great resource library that Andreas has started, so check that out as well. But anyways, Andreas, thank you so much for your time, and I hope to have you back on the show again soon. Andreas: Absolutely. Great to be with you. Thanks so much.